B.B. King’s career arc was on the same timeline as the Jazz Crusaders basically-only coming from different trajectory’s. King was developing in within the electric blues tradition while Joe Sample,Wayne Henderson,Wilton Felder and Stix Hooper were developing a rather more potent hybrid. Yet both were heavily indebted musically to their strong Southern flavors. And with King’s 70’s era recording output being a bit uneven in some people’s eyes? It seemed more than a little serendipitous that the Crusaders,by the late 70’s a trio and King would eventually recorded together. Much as Sample had helped do with the Jackson 5 on their latter days at Motown? Well now he,Wilton and Stix would be helping out a musical icon. Somehow,everything just rolled right along. And here’s the result. “When It All Comes Down” is an electric blues shuffle basically,of course with that Crusaders sense of precision rawness-full of electric piano and a locked down rhythm. The title track is one of my favorites on the album-totally in the late 70’s Crusaders style slow crawling,electric piano/sax oriented funk vein with Lucille moaning out BB’s classic blues. “I Just Can’t Leave Your Love Alone” is a fascinating number-a very high stepping country-funk type sound (as some might view it,anyway) that also has a swinging,jazz ragtime sort of arrangement about it. In a way that all may be full circle anyway,but its a strong and exciting number. “Hold On (I Feel Our Love Changing)” has some swirling electric piano/keyboard riffing about it that has a soulfully funky elegance about its medium tempo balladry. “Never Make Your Move Too Soon”,which I’ve only heard by the Captain & Tennille is presented here as a high stepping,funky blues stomp while “A World Full Of Strangers” and the amazing closer “Let Me Make You Cry A Little Longer” deal with serious,down in the groove funk stomps-with Felder’s bass interactions really coming into play on the latter. 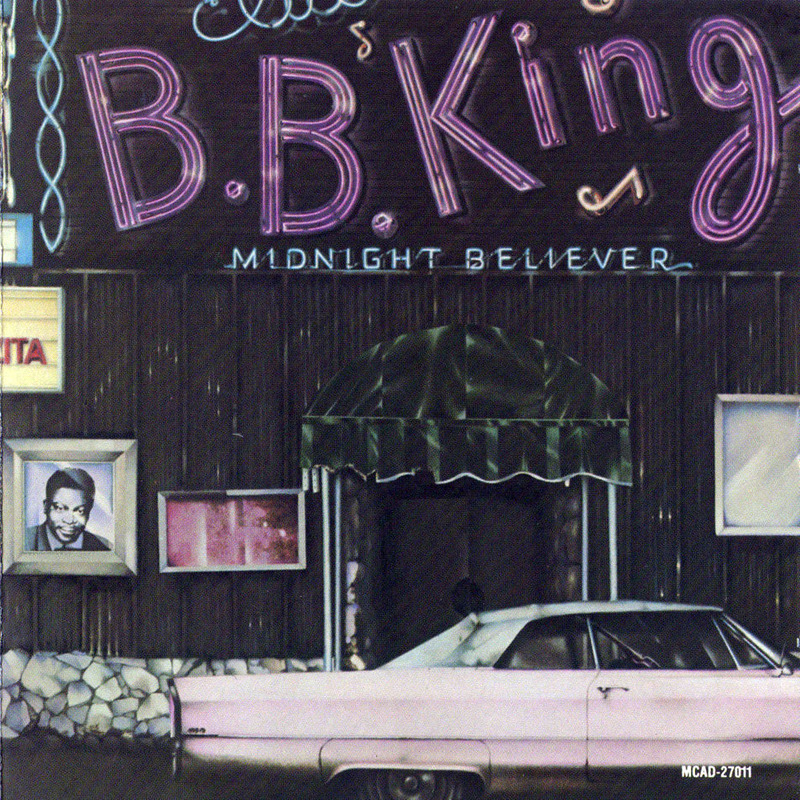 Overall BB King and the Crusaders’ late 70’s jazz/funk sound go together like a hand and glove on this album. It almost sounds to me as if this was the way BB King should’ve more or less evolved musically from the very start of the 70’s. One could only imagine if BB had the Crusaders playing with him from their “Put It Where You Want It” days of the earlier 70’s. But taken as it was,this reinvented the framework for King’s already renowned vocal/guitar technique-which in and of itself,of course,needed absolutely no tweaking. In the end,this was the beginning of what turned into two highly successful albums for BB King and members of the Crusaders.